How much banana bread can a person eat? In the history of my banana purchases, at least one of the bunch ends up blackened in the trash or stuffed into a freezer bag awaiting some more interesting fate. Smoothies? Over it. Muffins, pancakes and waffles? Done. My freezer is stocked with bags of said baked goods, right next to more indistinguishable frostbitten bags of frozen bananas. It’s time to find something new because, god forbid, I change my purchase patterns. Years ago, my girlfriends and I treated ourselves to a spa weekend. Fancy, right? Hardly. I think it may have actually been a fat camp and we just didn’t realize it. Meals were restricted or shall we say, carefully calorically calibrated to provide enough energy yet be boring and small enough to leave us wanting more. We developed a strange sixth sense of exactly when the dinner bell would ring. Due to these limitations, we found ourselves discussing food all the time. All. The. Time. One afternoon activity was a cooking class focused on healthy snacks. You bet we were all there. First ones in the front row, if I remember correctly because I’m sure we thought we’d get an extra snack out of it. I recall the chef making a sorbet by shoving frozen bananas through his fancy juicer, which extracted an odd looking brown mush. Didn’t matter – we would have eaten it regardless but turns out, it was marvelous. Cold, light and the essence of banana with exactly zero fat. It was simply smoothly pureed frozen bananas, nothing else. How easy was that? We licked our bowls clean and wandered off to tai chi or water aerobics or a nap, carefully noting what time dinner was that evening. Looking at yet another bunch of slowly rotting bananas the other day, I remembered that mush. I tried the same method and quickly learned my juicer didn’t work quite like his so I went a different route taking inspiration from a book I recently received. I roasted the bananas to bring out more flavor and made a brown sugar simple syrup with a little vanilla, lemon juice and a pinch of salt. I pureed it all together, chilled then processed the mixture in my ice cream maker. Delightful! A little more involved than the method I witnessed but still rather easy and certainly more flavorful. For having no dairy or fat, it was surprisingly creamy. I loved it. Yet that smash-it-through-the-juicer technique appealed to me for it’s sheer simplicity. I realize not everyone has an ice cream maker so I came up with another method that didn’t require one. Same process to start – roast the bananas but then peel and freeze them overnight while the simple syrup chills. The next morning, chop up the frozen bananas (they have a tendency to whirl about in big chunks if you don’t), put both everything in the food processor and run it until smooth. A few hours in the freezer to set up and there you have it. Couldn’t be easier. It’s not quite as smooth and creamy as the ice cream maker version but just as delicious. 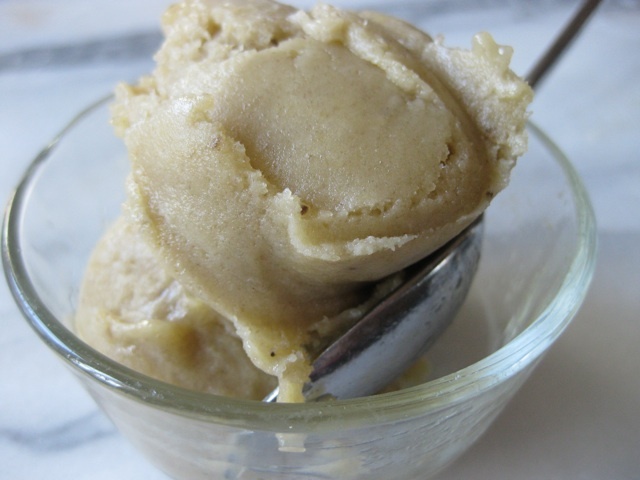 Since the sorbet is pretty much 100% bananas, you need quite a few to make a large quantity. I had forgotten a whole bunch last week, tucked as they were in a back corner, so this wasn’t a problem. But often I only have one or two so there are a couple directions to go. 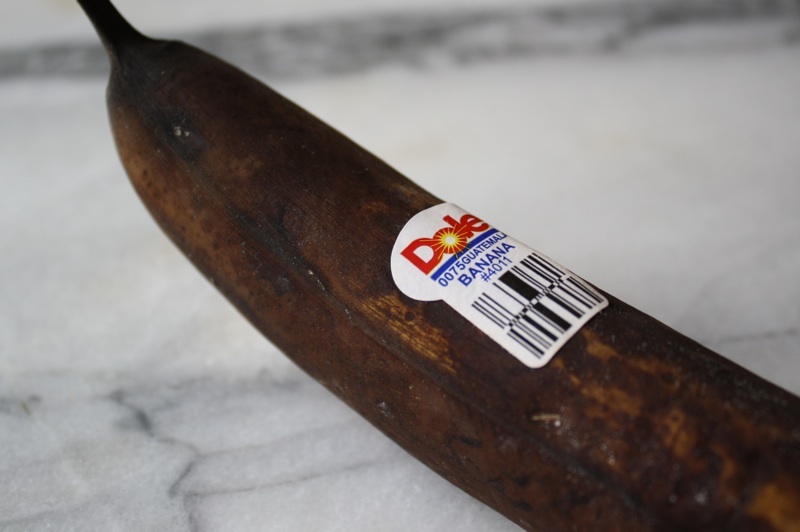 The recipe can be easily cut down/adjusted to as little as two bananas (¼ of the recipe) or you can pop them – peel and all – in the freezer until you’ve accumulated 8 or so. Roast them, as directed, right from the freezer adding about 5 minutes to the roasting time. You’ll have more liquid; just add that right to the mixture. STRESS BAKING THERAPY FACTOR: NOT BAD AT ALL. It’s surprisingly flavorful, creamy and delicious and fits in rather well with resolution diet plans. There’s nothing really stressful involved whatsoever, in fact, I would say it even alleviates the stress of what to do with those slowly rotting bananas on your kitchen counter. Win win. Oh and on a side note, you can bet we stopped at McDonald’s on the way home from that spa. Burgers all around and an order of nuggets for the car. Hells yes. Makes 1 pint. 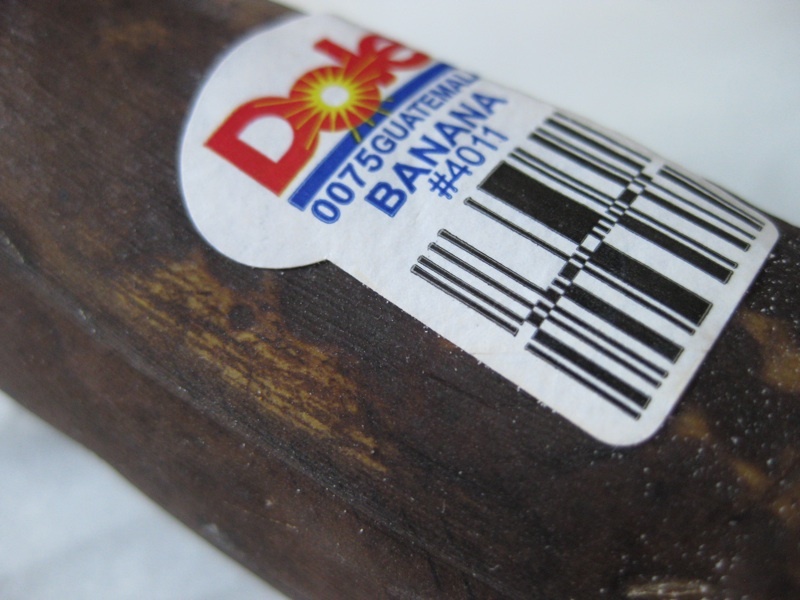 Note: Ripe means soft, spotted or even black and extremely fragrant. The riper the bananas, the better the flavor of the sorbet. If the bananas are frozen, add 5 minutes to the roasting time. Wrap the bananas, in their skins, individually in foil. Roast until soft and cooked through (use tongs to test), about 30 minutes. Meanwhile, bring the brown sugar and water to a boil, stirring to dissolve the sugar. In a blender, puree the peeled roasted bananas, simple syrup, lemon juice, salt and vanilla until smooth. Transfer to a bowl, cover and refrigerate overnight until thoroughly chilled. Process in an ice cream maker, according to the manufacturers instructions. Transfer to a freezer container and freeze for at least 3 hours before serving. Roast the bananas as directed above then peel, transfer to a freezer container or bag and freeze until solid – several hours or overnight. Meanwhile, bring the brown sugar and water to a boil, stirring to dissolve the sugar then add the lemon juice, salt and vanilla extract, stirring to combine. Transfer the simple syrup to a container and refrigerate overnight until thoroughly chilled. 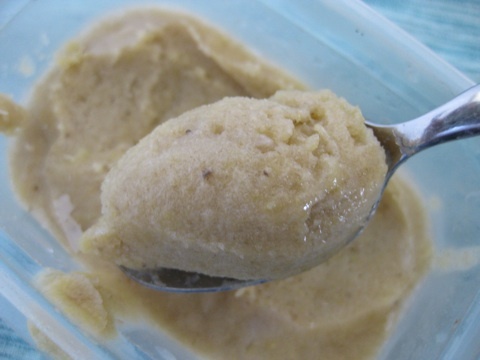 Chop the frozen bananas into ½” to 1″ pieces and process in a food processor with the simple syrup until smooth. Transfer to a freezer container and freeze for at least 3 hours or overnight. As the new owner of an ice cream freezer all of a suddenly anything that looks like it could be on the downhill side of perfectly fresh is in danger of becoming a frozen treat. Hummmm….I do have some bananas starting to turn. Thank you for the idea. I never would have thought to roast them.